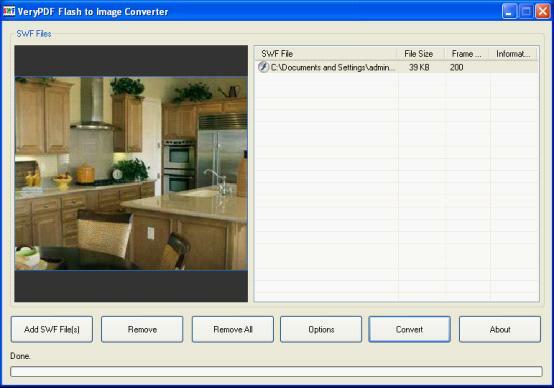 SWF to PCX Converter is an easy-to-use application for converting flash to PCX and other kinds of image formats, e.g., BMP, JPEG, GIF and TIFF. 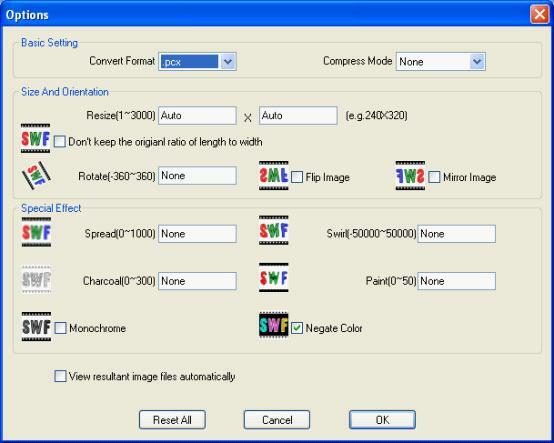 Moreover, SWF to PCX Converter supports the batch process and the adjustment on the size, the dimension and the orientation of the images. Specially, this multi-functional converter can help you add the image special effects. How to convert Flash to PCX with SWF to PCX Converter? Set the objective options and add the special effects of images. It is the end to convert flash to BMP with Flash to BMP Converter. Is it easy enough? So please do not hesitate to own this dreaming converter right now!